The concept of pro Ultimate is not new. Is history repeating itself? Can the current pro leagues learn from history? Being curious, SLUDGE tracked down Steve Dodge - the individual who developed the Professional Ultimate League (PUL). We talked about his PUL proposal from 2000, the two nascent pro Ultimate leagues and why the UPA did not approve his pro league. Q: When was the last time you thought about Professional Ultimate League (PUL)? Steve: Every time I visit the AUDL and MLU websites! Q: What are your thoughts on AUDL/MLU? Steve: Generally, I am excited to see where they're going. The active - instead of passive - referees is one point I would disagree with. I, personally, think self-refereeing is what makes Ultimate special. One element of the PUL proposal which could benefit the pro leagues is I had two teams travel to a third team's city. For example, New York and Boston would travel to play DC. There would be three games played in DC; first, the visiting teams (NY vs Boston), and then one of the visiting teams would play DC, and lastly, the other visiting team would play DC. That way, they would get more bang out of their travel buck and the fans would have more to watch. This format follows the "tournament" culture currently in Ultimate where it's acceptable to play multiple games in one day. Playing two games in a few hours doesn't seem like too much. Q: What was your impetus for developing the PUL? Steve: (laughs) It's a bit ironic. During my presentation to the UPA (now USAU), I said: "This is coming. It would be better if we did it and worked together with the UPA, as opposed to have it done by an outside organization." You know, so we could maintain the game that we love. I was a club nationals player (Masters Division) then, and I thought a pro league of some kind was the next step. It's in my nature to try and make things bigger and better. Q: What do you remember when pitching the idea to the UPA board? Steve: I asked the UPA Board for $5000 to conduct a feasibility study -- to see if there's enough interest to make this happen. They said "No" and potentially correctly for the reason of: if it succeeded, they could lose control of the game to the PUL. That was, and still is, a valid argument. Q: So, what became of PUL? Steve: I did not pursue it any further. I did not seek to compete with the UPA. I thought my PUL proposal could be something significant, but not without the UPA's support. Q: If you could have modified your pitch about PUL, what would you have done differently? Steve: I should have offered to be part of their umbrella. For me, PUL was meant to be a stand alone entity. The UPA has a lot of different areas to support, and the PUL would have one thing to focus on. I did not want the PUL to be directly under the UPA umbrella, perhaps I should have been willing to reconsider that point. Q: Looks like the inaugural season was scheduled for spring 2003 with some lead up tournaments beforehand. How many teams were planned? What cities? 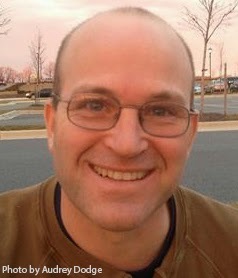 Steve: I might have proposed something similar to the MLU East and West conferences -- picking the hotbeds on each coast. My thinking was each weekend, two teams would travel to a third team's city, which works out very well. Q: How many games were planned for a PUL season? Steve: Twelve total games. With six teams, every team plays every team twice, and they play their regional foes three times. Top 4 teams would meet for a two game bracket tournament with the top two teams - from either coast - meeting for the finals. I really love the aspect of tournament play in Ultimate. I like what the MLU and AUDL are doing with their playoff system better. The playoffs should be special and should be one game at a time. Give the fans a chance to savor it. Q: What sort of advice would you give to those planning pro Ultimate leagues - present day and for the future? Steve: Having competing leagues at this point is a good thing. Even though there's probably a lot of resources being expended that are redundant, this helps figure out which model works. I wish USAU was able to be more involved and able to get one of the pro leagues to employ passive refereeing. If one of the leagues was able to incorporate that one rule change, I think the USAU would be able to support them, and my guess is that the sport (and the league that changed the rule) would win. Q: Is there any part of the PUL with you today? Steve: I would say there's a part of me that created the PUL that has not gone away. The PUL is not going anywhere (and never will). Though, I love the name! 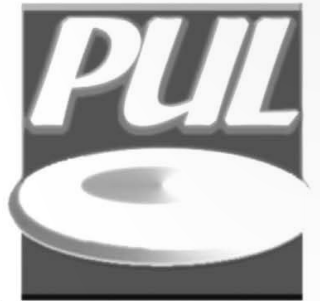 The acronym "pull" is just awesome. I now manage Vibram Disc Golf and am definitely still using that PUL creativeness as I push the sport of disc golf forward. We spoke to Steve Dodge on March 7, 2014. Steve transformed his hobby into a job at Vibram Disc Golf, where he is the Product Manager. Birdie Bash is Vibram's newest offering with 180+ worldwide events this year. Additionally, Steve introduced a spirit award - borrowed from Ultimate - at disc golf events so the "spirit of the disc" remains paramount.